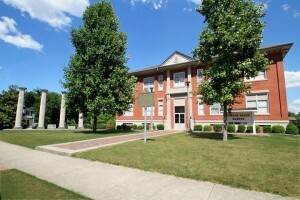 The Old Mark Twain School was built in 1910 and converted to Poplar Bluff Museum a few years after it was closed as a school in 1988. It features the neo-classical style and is the oldest school building in the city. 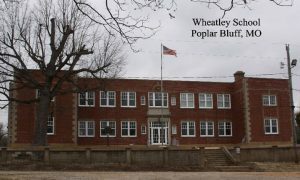 This museum features the history of Poplar Bluff and Butler County. There are displays including a Sports Hall of Fame, U.S. Postal Service, Boy and Girl Scouts and much more. National Register of Historic Places 1998. City landmark. 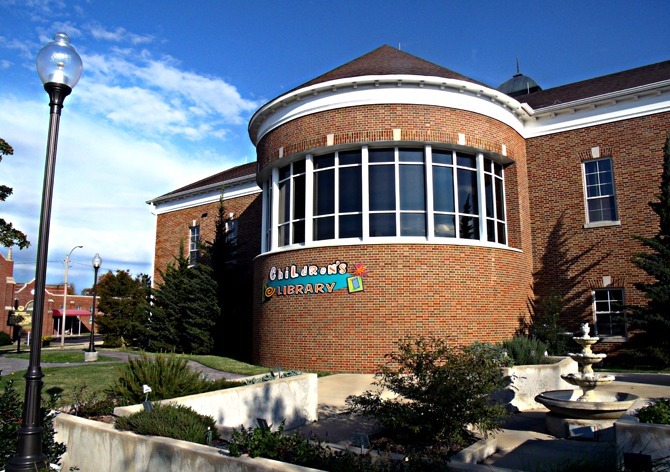 The Margaret Harwell Art Museum is an active and vital cultural resource for southeastern Missouri. 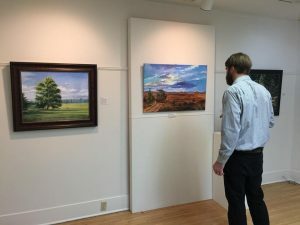 As one of only five city art museums in Missouri, it offers a comprehensive program of traveling exhibits, art classes, educational programs for children and a growing permanent collection of works by contemporary Missouri artists. 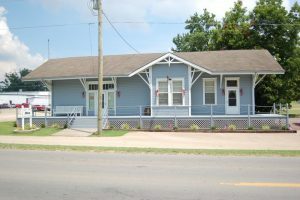 During your stay in Poplar Bluff, you are invited to tour the Claudia House, which headquarters the Claudia Foundation founded in 1989 by television writer, producer and director Linda Bloodworth-Thomason. 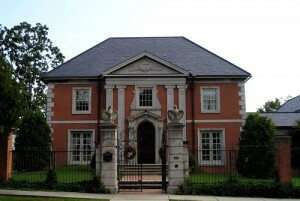 The original red brick Queen Anne style cottage built around 1910 was the home of the C.T. Bloodworth family for many years. Today, this home has been restored as an English Baroque stately home in the style of the William and Mary Period (1689-1702). Can modern art find happiness in a century old farm house? We think so! Come decide for yourself! 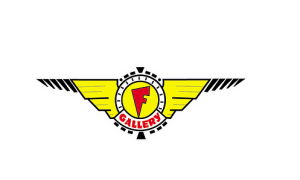 The flying “F” Gallery is located in the historic Collins Family farmhouse, built circa 1894. The building was convered into a country general store in 1926 and remained open until 1978. References to the Collins General Store can be found in several Butler County Missouri historical publications. The need for a public African American school was recognized in 1901 in Butler County, Missouri. The school was named for the poetess Phyllis Wheatley. In 1928 the building was expanded from four rooms to eight rooms with a library and gymnasium. Early in 1950 a vocational building was added. The school was the center of education for African Americans from its inception until the R-I school district became integrated in 1968. It later served as a grade school and early childhood center until closing in 2001. Board games and Wii game all day, free popcorn. The library download station provides free charging for almost any PC and handheld device. The Stars and Stripes Museum/Library is a non-profit educational institution. We are dedicated to collecting, documenting, and preserving materials related to the creation and continued history of the Stars and Stripes military newspaper and the people behind it. 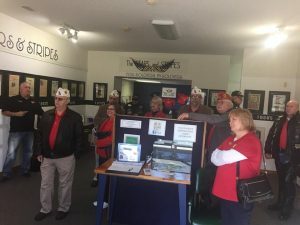 The museum exhibits the newspapers along with military items/artifacts that represent our military personnel’s continued sacrifices and contributions to keeping our nation free. Without understanding this country’s rich history, future generations run the risk of taking precious freedoms for granted and perhaps even losing those freedoms in the future. 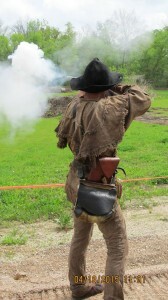 The museum’s focus is to present information about the proud, rich military history of this country. Individuals and large or small groups from around the country are welcomed to the museum at absolutely no cost. Tours are free and we are committed to keeping it that way. The museum is staffed by volunteers and dependent on donations to continue operating. The Veteran’s Memorial Wall is a monument dedicated to the perpetual celebration of men and women who have served our country through the military. It consists of black granite panels, mounted on solid concrete, on which names of veterans are inscribed. The walkway in front of the wall is constructed of brick. 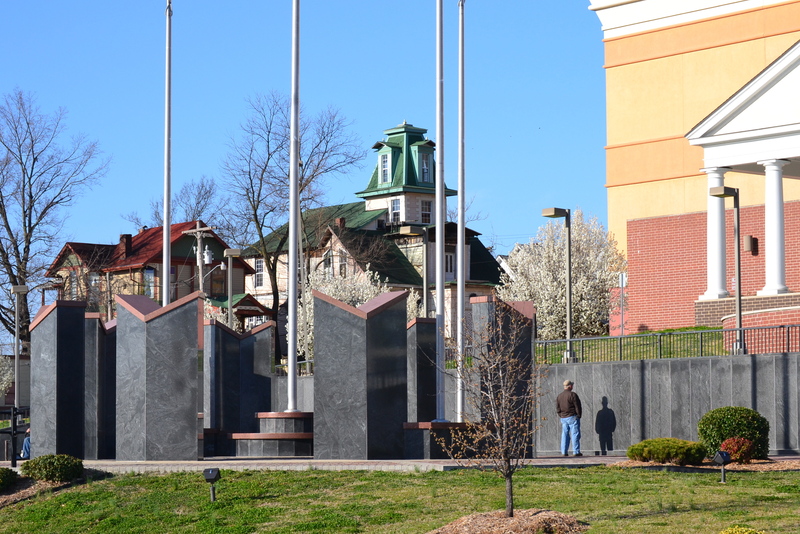 The center section of the Memorial is constructed of a concrete base for the four flagpoles that fly the National, State, City, and POW-MIA flags. Also included in this area are granite pylons mounted on solid concrete for inscribing names of veterans killed in action and are illuminated during the hours of darkness. The Wall is 100 feet long with two 32 feet tapered sides angling towards Fifth street. 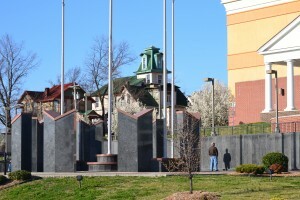 It has 89 black granite panels, ranging from 2’ X 7’ in size down to the smaller tapered panels along each angling side. All panels will contain names. There are 43 large panels, which will contain approximately 132 names each, and there are 16 half-size panels that will contain approximately 66 names each. For nearly 150 years, the small town of Greenville thrived on the banks of the St. Francis River. As a frontier town, a county seat of Wayne county and later a lumber and railroad town, this community was a commercial and political center for the region. Although the town was moved to avoid flooding by the river in 1941, the original site now provides a one-mile walk down memory lane and is listed on the National Register of Historic Places. The homestead includes the Tom Kennon Blacksmith Shop, which is open until noon on Saturday and special occasions. The Pioneer Log Cabin museum and Pioneer Log Barn are also on site. Tours scheduled by calling. A historic American Civil War fortification located near Patterson, Missouri. Its earthen walls measure approximately 100′ x 100′. The fortification supported an encampment of Union troops stationed at Patterson to secure the area against local Confederate guerrillas. It was also one of a string of fortifications designed to protect Union Missouri from invasion from Confederate Arkansas. 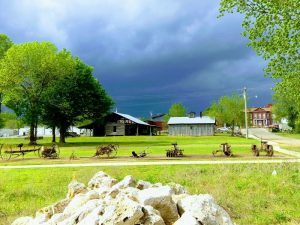 Showcasing the rich history of Puxico, Missouri in the heart of the town. 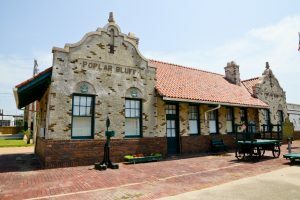 Housed in the former 1904 Frisco Railroad depot. 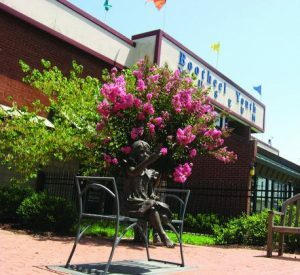 The Bootheel Youth Museum in Malden, Missouri offers children exciting, inventive (and educational) fun! Where else can you stand inside a bubble, “freeze” your shadow on a wall, write a check at the bank, or make music on sewer pipes? These are just a few of the experiences you’ll enjoy at the BYM. 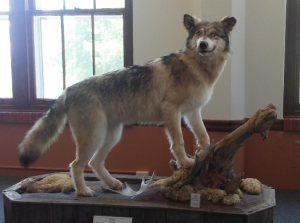 Showcasing the treasures of the area both in natural history and historical exhibits. The museum started as a committee of the Will Mayfield Heritage Foundation in 1998, but became a 501c3 entity in 2004 founded by leaders of the community who wanted to save the beautiful Will Mayfield College buildings for posterity and for a great economic asset to the community. Artwork and sculptures from various countries are featured at the Epps-Houts Museum. Paintings, artifacts, and carvings from South Korea, Saudi Arabia, and all of the southern parts of Africa are a few examples of what is featured.